Before I get started, let me first express both my condolences to anyone whose home or business has been impacted by the recent flooding in Calgary and my gratitude to the legions of municipal workers, police/fire/rescue crews and citizen volunteers who have worked tirelessly to repair and restore affected areas. I think we’re all a little desensitized to disaster coverage that we see on the news, but when the areas underwater are streets in your own city where you’ve walked, shops that you’ve frequented, or the arena of the local team, the veil of distance gets ripped away and the footage quite literally hits home. Hang in there, Calgary. Welcome back, blogging. It’s been awhile. So you haven’t heard a lot from me in recent times, but I have marginally decent excuses for my prolonged blogging absence. In the past couple months I have changed jobs, moving back into law firm life at a boutique shop recently founded by some former (and now current) colleagues, and I have also welcomed a new child into the world. My second son Max was born on Fathers Day, and events both leading up to his birth and since his arrival have taken up most of my attention. I therefore feel somewhat justified in playing the Major Life Events card in an attempt to excuse the rather ridiculous gap between PnP postings. If my last 10 days has been any indication, I would expect more of the same down the road, but I will try to keep the blog moving forward, if only to ward off the comment spambots that have descended like hungry vultures in the past few weeks. I’m not dead yet, Internet. Anyway, on to the stars of today’s post, which are two wines from a relatively new Okanagan producer that I was lucky enough to try recently. 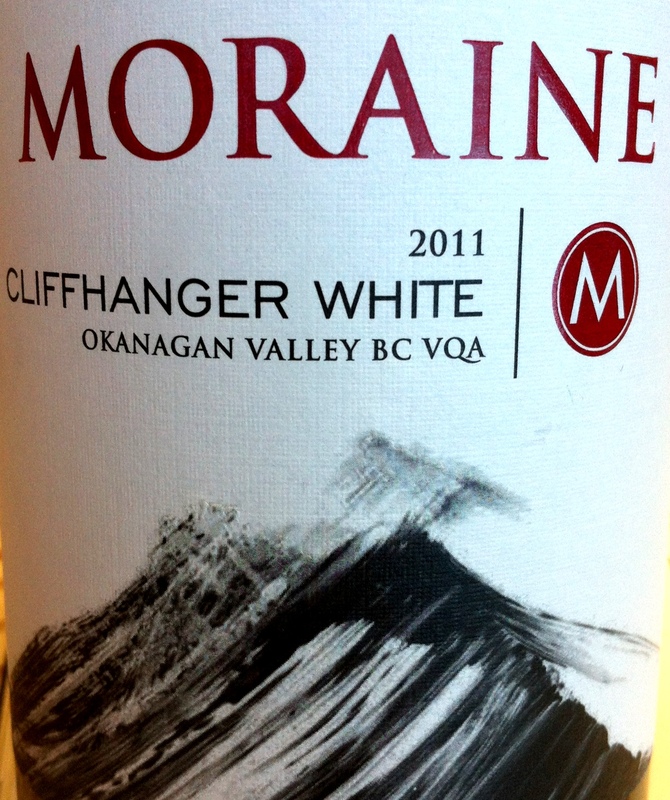 Moraine Winery is a recent addition to the renowned Naramata Bench subregion of the Okanagan, located just northeast of Penticton along the eastern shores of Lake Okanagan. Naramata has gotten enough critical attention recently that many wineries with any trace of property there are trumpeting the affiliation with the area, even if the bulk of their vineyards lie elsewhere in BC. Not so with Moraine: each of its two vineyards, named Anastasia and Sophia after the owners’ two daughters, lie within the Naramata Bench itself, and all of the grapes for its wines come from these sites. Moraine’s proprietors Oleg and Svetlana Aristarkhov relocated from Alberta to pursue their winegrowing dreams, so I like them already. 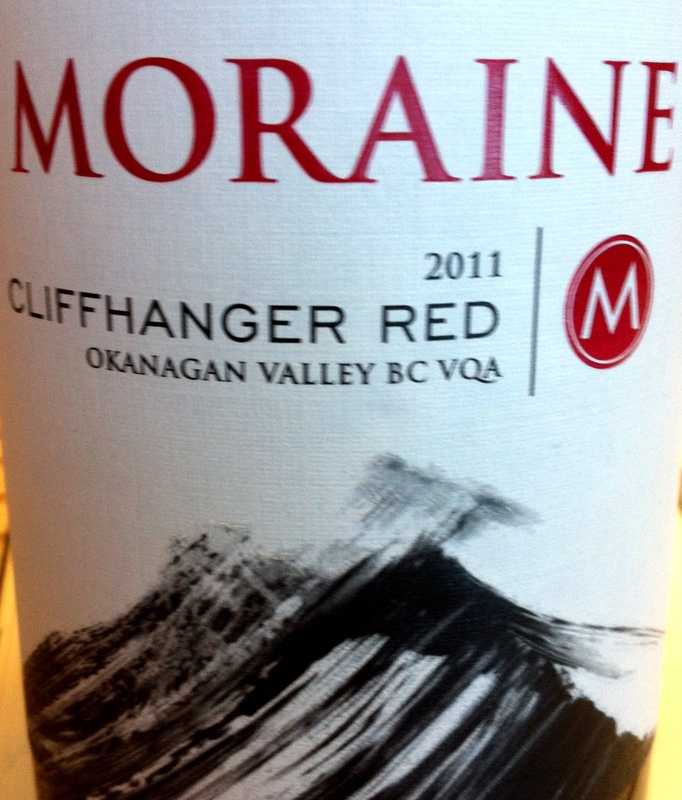 The Cliffhanger series of wines are Moraine’s entry level offerings, each likely checking in at under $20 retail in Alberta ($15 at the cellar door). This is the price point at which Canadian wines tend to make me nervous, as it can often be challenging for an Okanagan or Niagara producer to put together a compelling, estate-grown, quality bottle for less than $20 given the land, labour and equipment costs and climatic challenges common to all Canadian wine regions. 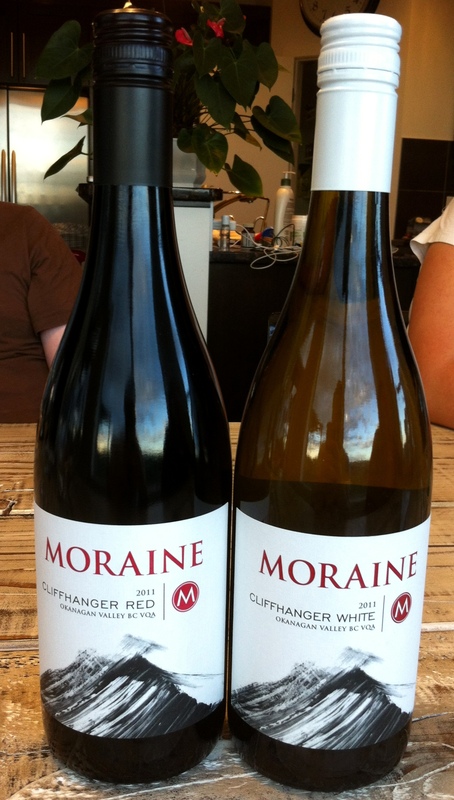 Thankfully, both the 2011 Cliffhanger White and the 2011 Cliffhanger Red are strong and enjoyable introductory efforts from a producer that I’ll be watching going forward. The Moraine website states that this is a blend of Pinot Gris and Viognier, but I could have sworn that the bottle (now disposed of, so I can’t check it) stated that it was pure Pinot Gris. If there was any Viognier in it, I would expect that it was in minuscule amounts, as the flavour profile had PG written all over it. The wine was a medium golden straw colour in the glass and initially had strongly citric/acidic aromas, lemon rind and grapefruit and pineapple, that eventually gave way to mellower notes of honeycomb and banana after some exposure to air. I expected some sharpness on the palate based on the cutting nature of the aromas on display, but the Cliffhanger was much rounder than expected, mixing pear, white grape and nutty/almond flavours with a sort of rubbery muskiness that pervaded throughout. However, this entire flavour profile was cloaked in a safe, papery neutrality, with nothing really exploding out of the glass and no flavours asserting themselves with any conviction, which resulted in the wine quietly tapering off on a fairly short finish. On the whole, the Cliffhanger was a decent drinking experience for the price, and it would certainly not offend a broad audience of casual wine drinkers, but it was lacking somewhat in the interest factor that would make you want to seek out another bottle. I am admittedly not the hugest fan of Canadian Pinot Gris as a whole, so keep that in mind when reading the above; I will say that this wine seems to be a consistent portrait of the national style, so if you’re a homegrown PG fan, this should be right up your alley. I was desperately curious to try this bottle, due entirely to what grapes went into its creation: a blend of Gamay and Shiraz. Say what?? Briefly, Gamay is the thin-skinned, low-tannin grape behind the light and fruity red wines of Beaujolais in France; Shiraz is the beefy, thick-skinned, flavour-packed grape behind the jammy colossuses of Australia. (Side rant: Canadian wine industry, can we all just agree to call it “Syrah”? Please?) Very rarely do you see a grape on the extreme lighter end of the red wine spectrum blended with one on the extreme heavier end, as the lighter grape would generally be obliterated by its fuller, bulkier, more intense counterpart. You don’t often see Gamay blended with anything (other than with Pinot Noir, a similarly lighter, more elegant grape, in a Burgundian “Passe-Tout-Grains” style wine), and I have never seen it blended with Shiraz/Syrah until now…I would LOVE to know what the percentage of the blend was. I thus approached this wine without having any idea what to expect, and I was very pleasantly surprised with what I found. Somehow, some way, the blending worked, retaining the brightness and fruitiness of the Gamay while lending it a bit of Shiraz’s heft and presence. The Cliffhanger was a medium opaque purple colour (thanks, Shiraz) but thinned quite noticeably at the rim (fight on, Gamay!). Its sweet and spicy nose offered up swirling notes of cherry, grape Crush, prune/fig, pepper and cinnamon, and it struck a fine balance between light and substantial on the palate, with a body just shy of medium, subtle but grippy tannins and understated acidity. The fruit and spice mix carried over from nose to palate and became more grounded and less candied, with strawberry, rhubarb, raspberry and even blackberry dancing with baking spices and pepper and staying strong all the way through a much clearer, more consistent finish. This was truly enjoyable and exceptionally interesting, and I think it overdelivers for its price. 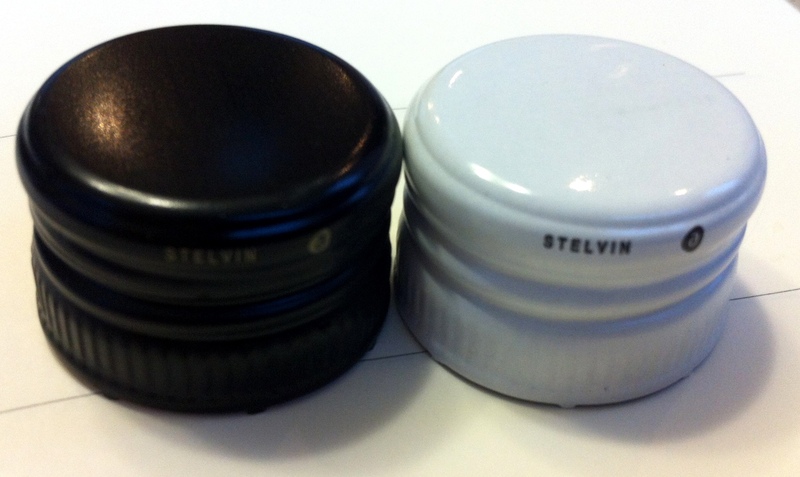 It’s worth trying for the blend alone, and it delivers on the intrigue that its ingredients create. Until next time — which will hopefully be before September! Thanks for reading!